How to Become a Referee? The Ontario Soccer Association offers two courses to those looking to become registered referees in Ontario: Small Sided clinics and Entry Level Referee clinics. The Entry Level Referee Clinic is for those who would like to become an accredited referee on 9v9 and 11v11 games and are 14 years of age (by March 31st, 2019) and older. By taking the clinic a referee is automatically registered for the 2018 season with the OSA and does not have to register again until the following year. The Small Sided Game Course is for those who would like to become an accredited referee on 7v7 games and are 12 years of age (by March 31st, 2019) and older. By taking the course a referee is automatically registered for the 2018 season with the OSA and does not have to register again until the following year. Course accreditation is valid permanently, no re-accreditation on Small Sided Game (7v7) required. The Small Sided Course is based on the "Laws of the Small Sided Game". The Ontario Soccer Association offers Small Sided Game Accreditation to all referees with at least one year of experience in 11v11 games and currently registered for the 2018 Season. This initiative promotes the implementation of the Small Sided Game, increase the number of referees with valid accreditation to officiate at 7v7 games and consequently support Clubs, Leagues and Districts with the implementation of Long-Term Player Development. 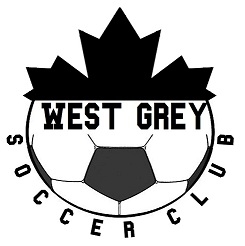 second 1/2 at the end of second season and based on meeting the required number of games worked for WGSC. At the end of season and based on meeting the required amount of games worked for WGSC.